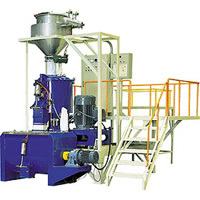 KAI LIEN ENTERPRISE CO., LTD.
Our mixer is using 2-Stage mixing process. 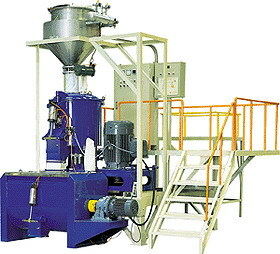 High speed hot mixing at the first stage, and load automatically to the cold blender for cooling after the temperature has reached. It can also collaborate with PVC resin distributing system and automatic raw material feeding system.